To create a better quality application that is user friendly is more challenging than you can feel. To design a very simple clone app is quite easy. You can build a copy of particular famous applications dealing with fruits and birds, but is it needful? Or is it a must that you need to integrate social arenas? Many of your questions should be answered. Isn’t it? CloudZon Infoconnect has an excellent application development and consulting team that would get you through your questions. 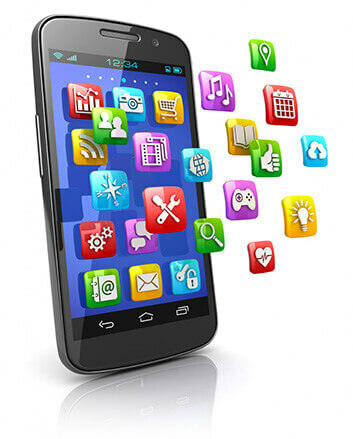 Our efficient team has delivered 50+ Android applications in the marketplace. We do provide a hassle free atmosphere and it will have a large number of categories. Why CloudZon is best for mobile Development? Mobile users have already conquered the internet. The percentage of users who use mobile apps is getting increased day by day. To build another application is very easy, but think that you are building a model that should bring profits for your business. This needs correct strategy and a deep consulting to make sure you will succeed. We provide you a leading and feasible Mobile Application development and mobile testing plan by thorough checkup into your application idea and utility to build you a highly profitable business model. We provide mobile device testing, which will give you a clear and unbiased view provides unbiased and clear view of any critical scoped application. The solutions provide optimization which allows improving the quality of software with a cost efficient touch. The main reason for mobile testing services is to improve the satisfaction of customers as it reduces risk and give asset values. We are very particular about the quality of services in no time with a reasonable budget. You may have many imaginative ideas that should be transformed into an iPad Application. CloudZon supports you to develop your required iPad Application with a team of excellent developers. We also provide a hassle free environment and apt time delivery of iPad application development. CloudZone provides you a constant support of services in iPhone Application Development with a group of skilled personnel who has expertise in the same. With the advanced technological appeal, we are always focused on the long term agreement of clients deal in the arena of mobile computing. Thus application development will allow extensibility to share the information in an easy manner with other applications. You can expect a robust and scalable application for anything under the sky. CloudZon is a renowned Android Application Development company who offers professional services in application development. Our efficient team has delivered 50+ Android applications in the marketplace. We do provide a hassle free atmosphere and it will have a large number of categories. We also offer high Roi with less budget, an easily integrable, scalable and adoptable Android apps. We offer a complete solution for your Mobile Application development plans as we are quite confidential on the information and data, client focused approach, experts in developing, and we develop user friendly and accurate apps.